Exceptionally cold hardy selection- established clumps have survived 0 F°. 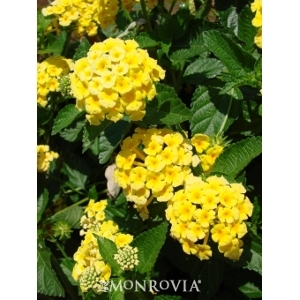 Low spreading form is excellent for mass and hillside plantings or patio containers. Showy bright yellow flowers cycle during warm season. Evergreen except in temperate climates below freezing. Perennial.